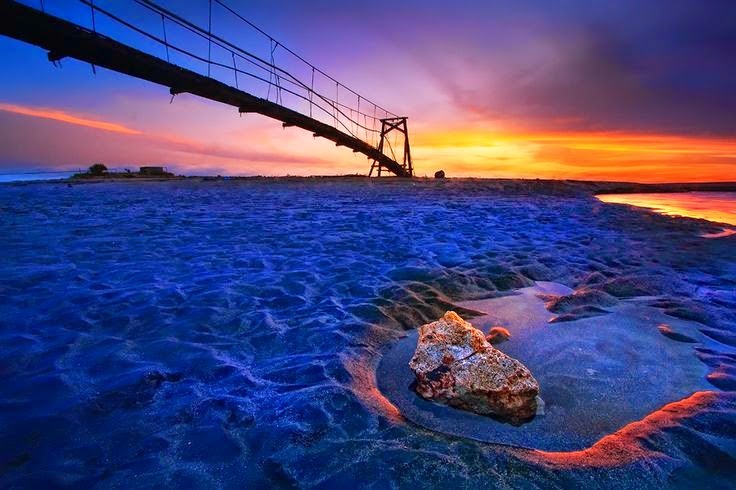 From the many beaches in Bali, there is interesting one called Batu Belig Beach with undeniable beauty. 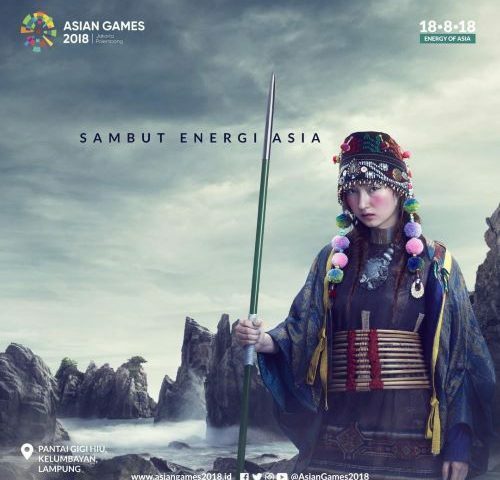 No wonder if Batu Belig becomes a favorite destination for tourists to visit. 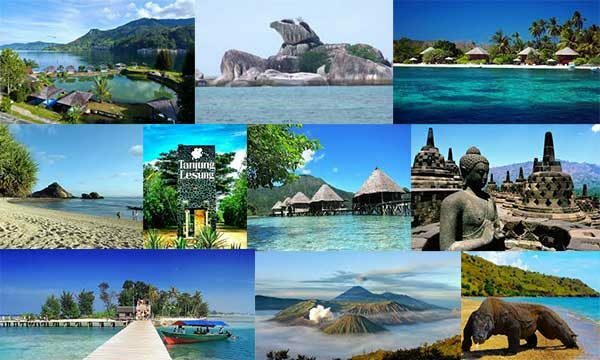 No wonder Bali is often referred to as an extraordinary island of tourist attraction belongs to Indonesia. The beauty spreads from the coast to the mountains. 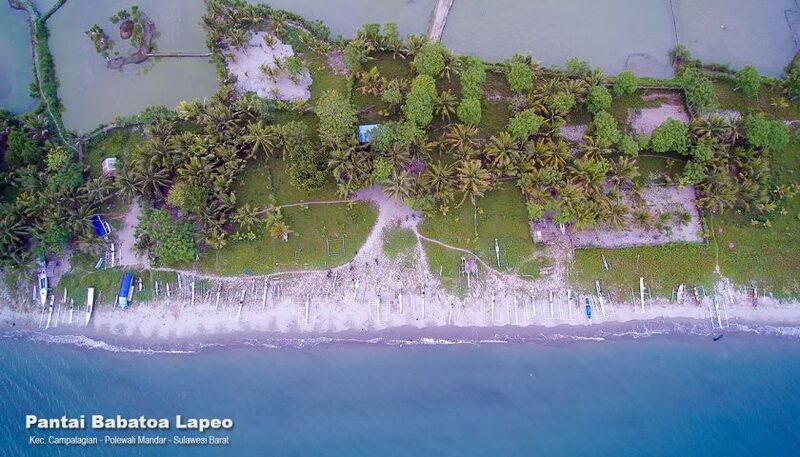 In fact, the beach in Kerobokan area turned out to be able to seduce tourists to visit. The allure is mesmerizing with the appearance of natural beauty and atmosphere that no other beach has. The beauty panorama will appear when dusk arrives. The sun’s light gradually sinks in the western horizon is the moment most awaited by tourists when it comes to Batu Belig Beach. Because at this time the painted panorama seems very beautiful in the eyes. Usually visitors who come to spend time on the beach while sunbathing casually by watching the sea view, strolling along the beach, swimming, playing kites with children or even riding horses along the stretch of beach sand. Even horse riding is a popular activity that is often done here. Children can freely play sand, even they can play ball in the beach area. The soft and thick sand will not make you sick when you fall. So parents who are watching their children playing are not worried. 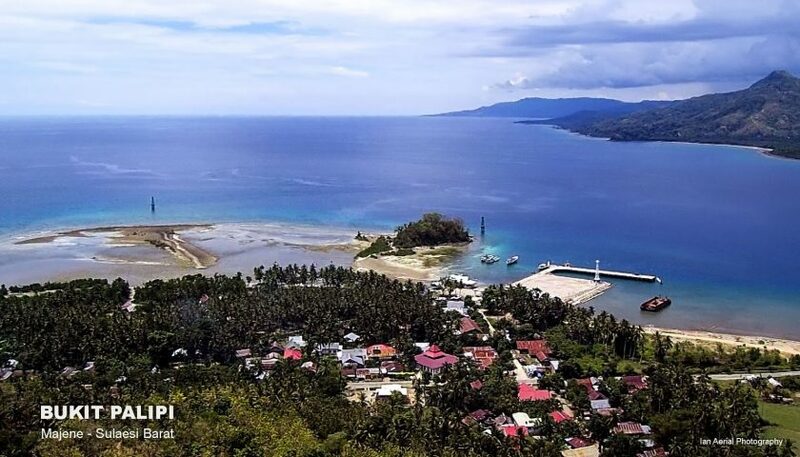 Although the location is not far from Kuta, but Batu Belig is an alternative destination for tourists who want to feel a more tranquil feel from the hustle and bustle of the city. 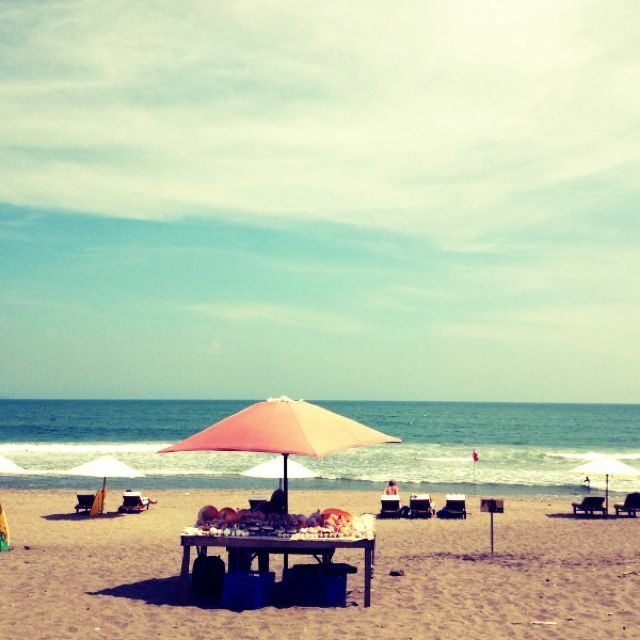 Because of the atmosphere of calm is not like in Kuta Beach which is very crowded with visitors. 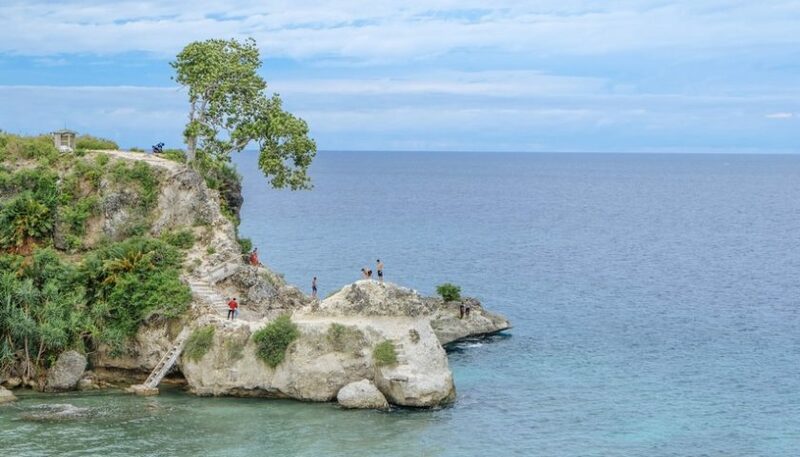 As a favorite attraction are always visited by tourists, Batu Belig Beach Bali already has adequate tourism support facilities. Among them are lodging and cafe. If you want to buy some souvenirs, you can buy from souvenirs seller around the beach. They seem patient to offer their merchandise to each visitor while continuing to walk along the beach. Some cafes provide seats on the shore are usually chosen by tourists to spend time waiting for the sunset. If you feel tired, you can also use massage services by the locals who offer services. 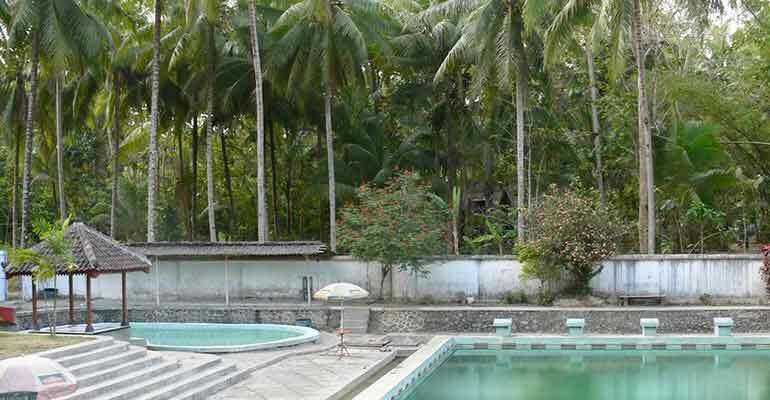 With various facilities available, you will not feel bored when visiting Batu Belig Beach. Located in Batu Belig Street, Kerobokan, North Kuta District, Badung Regency, this attractive beach has a vast expanse of fine white sand. The location is close to Seminyak area as well as a number of other popular beach such as Umalas, Canggu, Petitenget, Legian and Kuta. If taken from Denpasar and Tanah Lot tourist attraction only takes about 30 minutes’ drive. 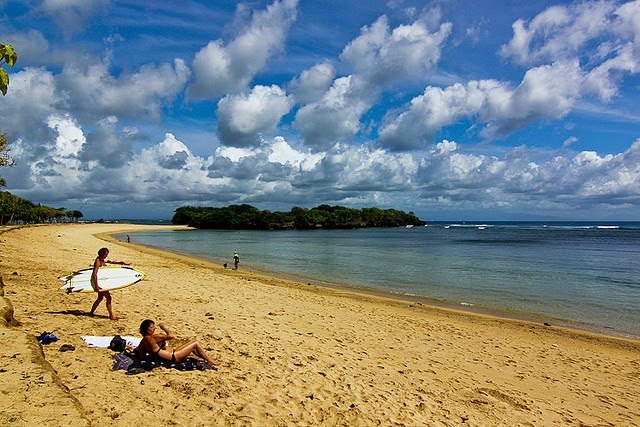 If you depart from Ngurah Rai Airport, the time needed to reach Batu Belig Beach is around 35 minutes.